Due to the difference between different monitors, the picture may not reflect the actual color of the item.Please consider this before the purchase. 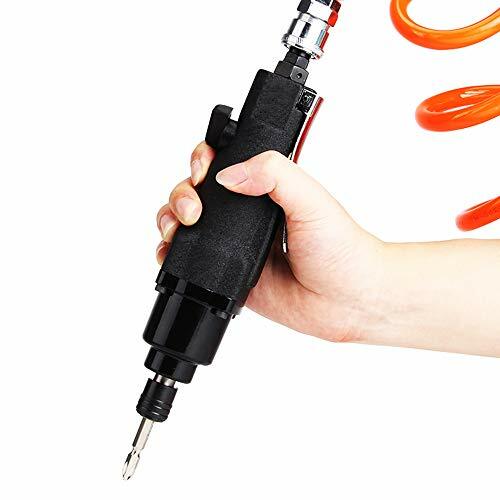 FivePears WYL0005 1/4-inch industrial pneumatic screwdriver series, which would be your ideal tool for assembly work and maintenance work.Torque reach 5-30Nm guarantee the high output performance. Idle speed of 10500rpm, which means a strong rotate speed for work. An ergonomic body design, would greatly reduce the fatigues for operators while deliver the best performance. This product is used in workshop maintenance, vehicle maintenance furniture assembly. Professional level,Excellent power to weight ratio.With twin hammer structure and large torque,long service life. Self-locking chuck:screwdriver is not easy to fall off.You can innstall all the screwdriver with 1/4"(6.35mm)specifications. Trigger switch:Push design Humanizing design.The use of more convenient. Air-bleed hole:Many hole design When working,do not face the hole. Japanses air intake connector Fixed interface,Through high temperature heat treatment Durable,non-leaky. Hook up Precision design:When the tool is stopped,it can hang up. Comfortable grip : compact appearance, comfortable handle, easy to operate. Ergonomic design of the industrial air screwdriver highly reduce fatigues while deliver the best performance. Quick change self locking chuck : Equipped with screw head quick connector:1/4(6.35mm) ensures that bit won't drop accidentally, easy to operate. 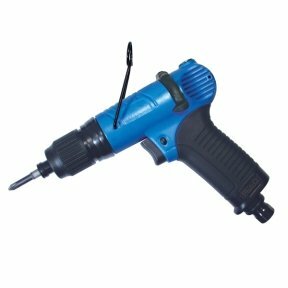 Widely use : this pneumatic screwdriver is suitable for the fastening and dis-assembly of screws in the light industry field such as machine manufacturing and metal auto repair. Widely used for woodworking decoration, home decoration, home appliance assembly, etc. Torque reach 45Nm guarantee the high output performance. Idle speed of 11000rpm, which means a strong rotate speed for work. An ergonomic body design, would greatly reduce the fatigues for operators while deliver the best performance. Please pay attention before buying:air inlet is Japanese air intake male connector. With twin hammer structure and large torque,long service life. Ergonomic design highly reduce fatigues while deliver the best performance. 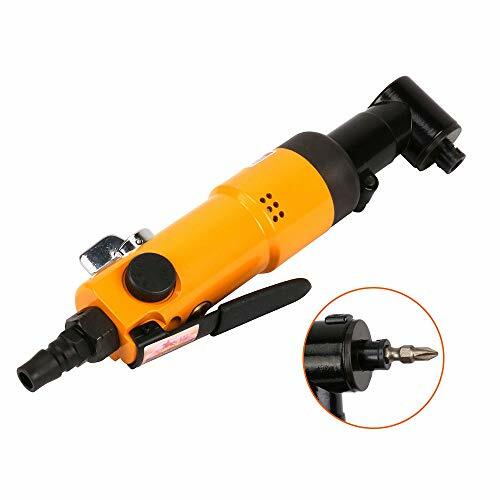 Pneumatic Screw Driver ACP58 is a slip clutch pistol grip air torque driver. The slip/cushion clutch slips once the pre-set torque is reached. This feels like a slight release of pressure on the bit of the screwdriver. The driver has an ergonomic design grip that has a comfortable feel with a non-slip "Top Wave" design. 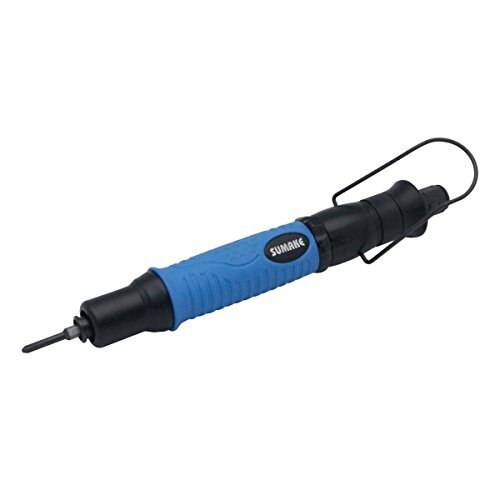 Common usages for this screwdriver are assembly fastening applications that require torque control. 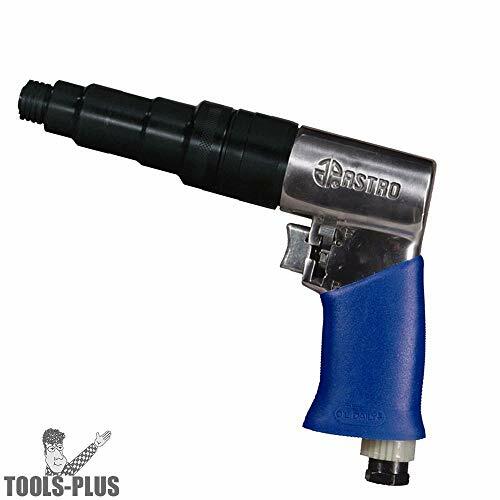 The Astro Pneumatic 810T 1/4" Pistol Grip Internal Adjust Screwdriver has a free speed of 1,800rpm and features a pistol grip design. It is fully reversible with a quick change bit retainer. Neoprene sleeve grip and tension springs are included (Astro Pneumatic 810T). It also features an Internal adjustable clutch (turning clockwise compresses spring increasing torque, counter clockwise release). The specifications are as follows: Retainer Capacity: 1/4" Hex, Free Speed: 1,800rpm, Overall Length: 8-1/8" (206mm), Net Weight: 3lbs. (1.36kg), 810P Torque: 115in./lbs., 810T Torque Range: 20-115in./lbs., Air Inlet Thread NPT: 1/4", Air Hose I.D. Size: 3/8" (10mm), Avg. Air Consumption. : 6cfm and Air Pressure: 90-120psi. 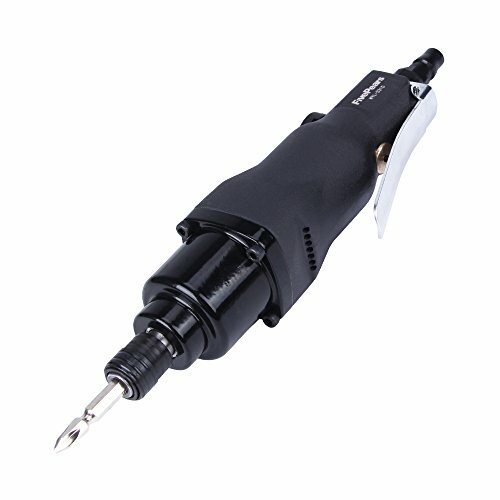 Reliable pnuematic screwdriver--an excellent choice for soft-draw applications. 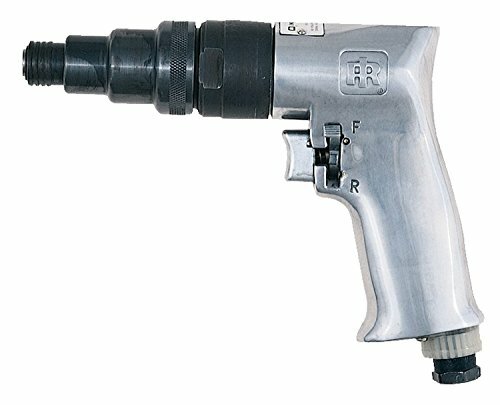 view larger Ingersoll Rand 371 Standard-Duty Pistol-Grip Reversible Pnuematic Screwdriver One in a family of economical standard-duty tools by Ingersoll Rand, the 371 pnuematic screwdriver is an excellent choice for soft-draw applications. The versatile tool is well-suited for service work on HVAC systems, instrument panels, and trim components. Even more, the 371 pnuematic screwdriver delivers reliable performance for driving of sheet metal, self tapping, and wood screws. PANA AIR High Speed 4 holes. Smooth as silk, it has excellent texture. 1. Torque reach 20-180N.m guarantee the high output performance. 2. Idle speed of 10000rpm, which means a strong rotate speed for work. 3. An ergonomic body design, would greatly reduce the fatigues for operators while deliver the best performance. 4. This product is used in workshop maintenance, vehicle maintenance,furniture assembly. 5. Professional level,Excellent power to weight ratio.With twin hammer structure and large torque,long service life. 6. Please pay attention before buying:air inlet is Japanese air intake male connector. Professional level,excellent power to weight ratio. -100% Brand new, high precision, high efficiency, long life. -Push switch, easy to start tools, safe and reliable. -90 degree bend design, special work special requirements, high intensity of use, high efficiency. -Straight handle design, compact appearance, light weight, comfortable handle, easy to operate. -Adjustable torque control, rotary knob quick reverse, convient to operate. -Air inlet, high temperature treatment, have a filter net, prevent dust into. -Professional grinder kit giving complete flexibility for most grinding and polishing needs. Push switch, easy to start tools, safe and reliable. 90 degree bend design, special work special requirements, high intensity of use, high efficiency. Straight handle design, compact appearance, light weight, comfortable handle, easy to operate. Adjustable torque control, rotary knob quick reverse, convient to operate. Air inlet, high temperature treatment, have a filter net, prevent dust into. Professional grinder kit giving complete flexibility for most grinding and polishing needs. The length of the Hose is within 5 meters. It is recommended to use 8*5mm Hose. The length of the Hose is within 10 meters. 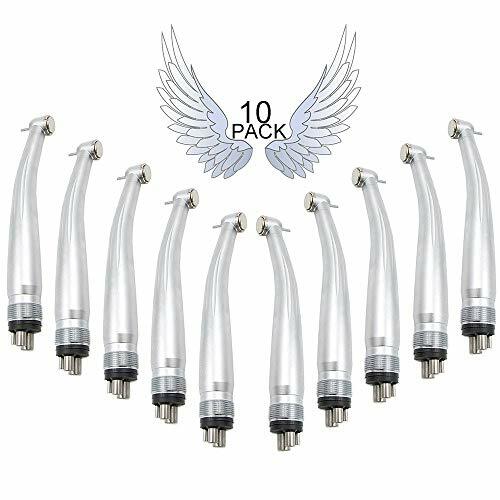 It is recommended to use 10*6.5mm Hose. The hose length is more than 10 meters. It is recommended to use 12*8mm Hose. Professional level,Excellent power to weight ratio, long service life. Widely used for woodworking decoration, home decoration, home appliance assembly, mechanical maintenance, etc. 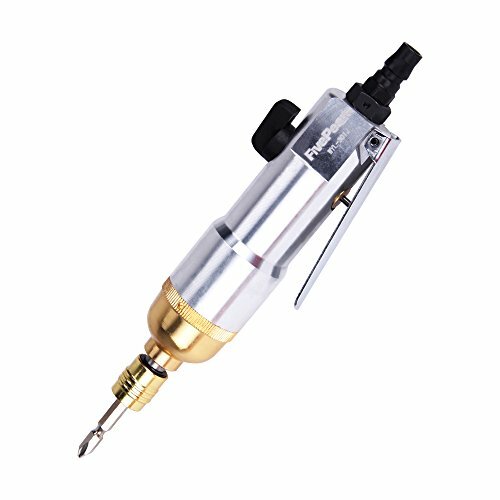 Valiantoin 5H 1/4-inch industrial pneumatic screwdriver series, which would be your ideal tool for assembly work and maintenance work. 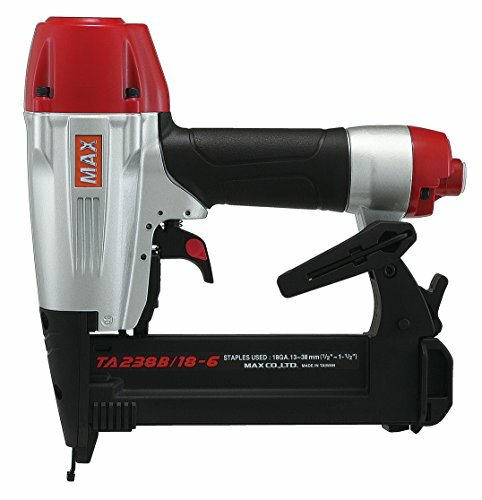 Screw capacity for M6-M8, Maximum torque reach 25N.m guarantee the high output performance. Idle speed of 8500rpm, which means a strong rotate speed for work. An ergonomic body design, would greatly reduce the fatigues for operators while deliver the best performance. Valianto Tools aims to offer the best tools to customers,whether you are a industry expert or just a DIY lover, from pneumatic tools,power tools,to hand tools,you could all find the best solution from our store.Valianto Tools always committed to providing professional-level quality at a fair and affordable price,setting industry standards for high-production performance. Quick Change Self Locking Chuck: Equipped with screw head quick connector:1/4(6.35mm) ensures that bit won't drop accidentally, easy to operate. Press Switch: Press switch allows people to start and stop the screwdriver easily. safe and reliable. Press Switch: Press switch allows people to start and stop the screwdriver easily. safe and reliable. 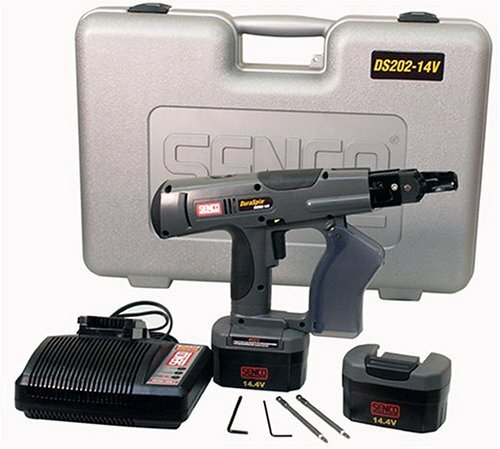 The Senco 14V Duraspin Cordless Collated Screwdriver (DS202-14V) (3P0001N) is designed for various screw fastening applications with 1 to 2 inch screws. 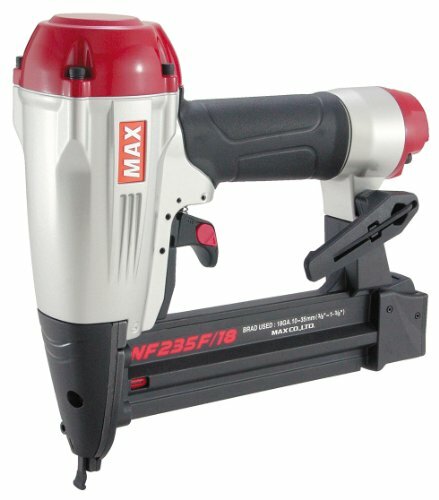 It features a powerful 2,300 RPM motor and a reverse switcch to back out driven screws when needed. 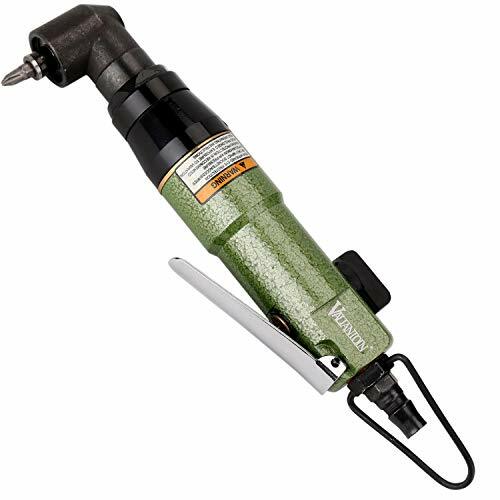 This driver features easy depth of drive adjustment for regulating the precise amount of countersink and a patented clutch design for longer tool life. Included with this driver is a back up battery and a one-hour charger. 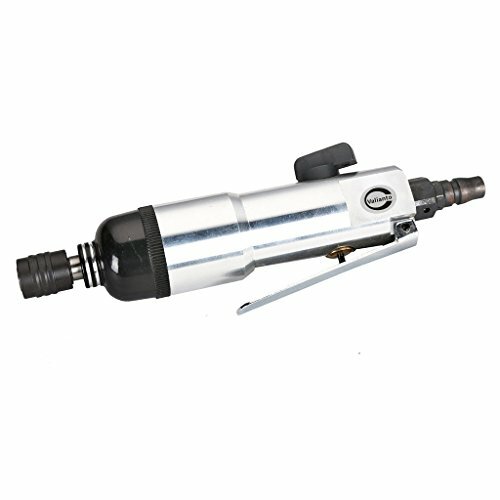 Torque reach 20-200Nm guarantee the high output performance. Idle speed of 10500rpm, which means a strong rotate speed for work. 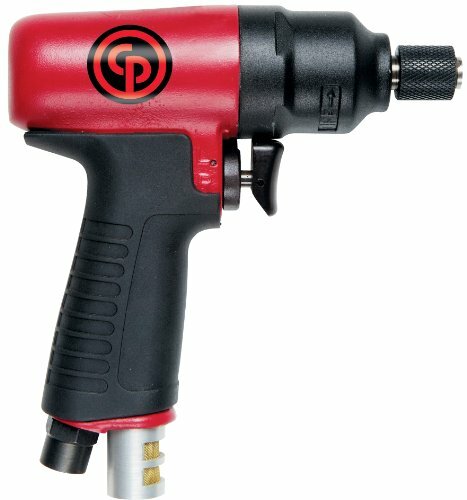 "CP Screwdriver, Bare Tool, Hex Chuck, 15000 rpm, 8 to 42 Nm, 27 cfm, 1/4 in Air Inlet, 3/8 in Minimum Hose Size, Pistol Grip Handle, 99 dBA Power/88 dBA Pressure, 5.9 in L"
Jet Air Screwdrivers provide efficient performance through durable ball-bearing and needle-bearing construction and give maximum control with variable speed triggers. 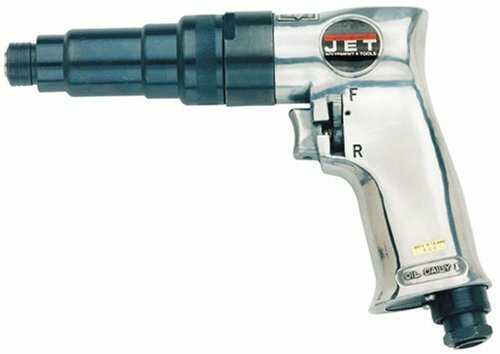 JET pneumatic screw drivers feature a quick change chuck that accepts standard 0.25 in. hex bits allowing the tool to easily adapt to any manufacturing or fabrication need.Features. Heavy-duty ball and needle bearing construction for durability.. Variable speed trigger design for precise control.. Easy-to-reach one-handed side mounted forward reverse switch.. Fast-action chuck permits the changing of standard 0.25 in. hex bits.. Includes torque spring for 45-90 FTLBS. Style: 6A Screw Capacity: 4-5 mm Free Speed: 13000 RPM Max Torque: 44ft/lbs (60 N.m) Air Pressure: 91 PSI Air Inlet Size: 1/4 inches Avg. Air Consumption: 4 CFM Style: 6H Screw Capacity: 4-5 mm Free Speed: 14000 RPM Max Torque: 41ft/lbs (55 N.m) Air Pressure: 91 PSI Air Inlet Size: 1/4 inches Avg. Air Consumption: 4 CFM Style: 8H Screw Capacity: 6-8 mm Free Speed: 9000 RPM Max Torque: 133ft/lbs (180 N.m) Air Pressure: 91 PSI Air Inlet Size: 1/4 inches Avg. Air Consumption: 4 CFM Style: 8L Screw Capacity: 5-8 mm Free Speed: 9000 RPM Max Torque: 118ft/lbs (160 N.m) Air Pressure: 91 PSI Air Inlet Size: 1/4 inches Avg. Air Consumption: 4 CFM Style: 10H Screw Capacity: 8-10 mm Free Speed: 8000 RPM Max Torque: 44ft/lbs (60 N.m) Air Pressure: 87-116 PSI Air Inlet Size: 1/4 inches Avg. Air Consumption: 4 CFM About Valianto Valianto offers superior quality and dependable tools to every do-it-yourself consumers, whether you are a classic car enthusiast or a DIY homeowner. From Pneumatic tools, Power tools, to Hand tools, Valianto always committed to providing professional-level quality at a fair and affordable price. Valianto Tools bring you the best level of fun and adventure with well-made and durable products. 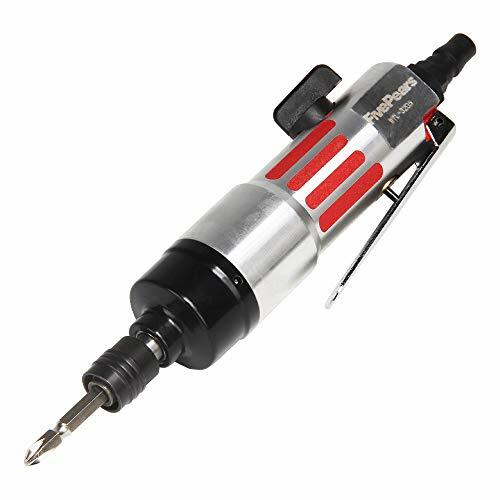 Air Torque Driver FP045 is a push to start full auto shut-off clutch air screwdriver. The clutch on this screwdriver shuts the screwdriver off once the easy to set toque value is reached. This driver is a push to start composite screwdriver that features an ergonomic grip and a new patented MCL motor with 30% less counterforce. 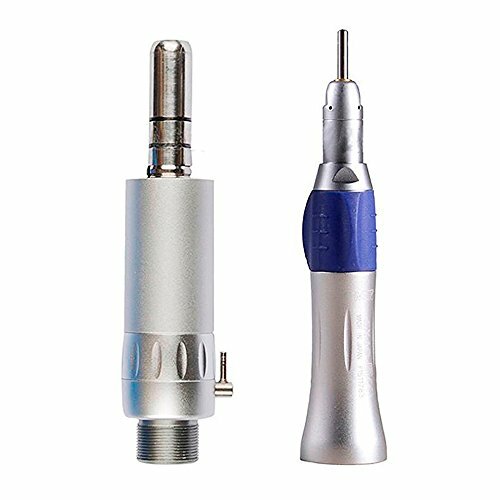 Common usages for this screwdriver are assembly fastening applications that require precision repeatable torque control. 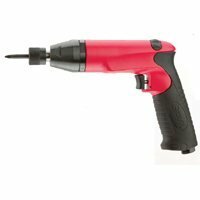 Valiantoin 8H 1/4-inch industrial pneumatic screwdriver series, which would be your ideal tool for assembly work and maintenance work. Screw capacity for M6-M8, Maximum torque reach 30N.m guarantee the high output performance. Idle speed of 8500rpm, which means a strong rotate speed for work. An ergonomic body design, would greatly reduce the fatigues for operators while deliver the best performance. Quick Change Self Locking Chuck: Equipped with screw head quick connector:1/4(6.35mm) ensures that bit won't drop accidentally, easy to operate.